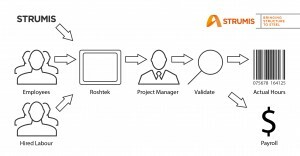 STRUMIS has partnered up with Roshtek Software Solutions to provide a ‘Time And Attendance’ add on to its world leading MRP solution. This proven and tested solution allows businesses to work within one space, removing the need for duplicate data entries. Therefore reducing the risk of human error, providing time and cost savings. This solution captures STRUMIS’ existing job labour recording and provides seamless added functionality of attendance governance. We are delighted to announce that Northern Weldarc have purchased and started to implement STRUMIS into their business. Northern Weldarc Ltd needed to leverage new and emerging technologies in order drive their performance in the Fabrication industry. NWL engaged in a thorough research of all fabrication ERP technologies, to which STRUMIS provided the best solution for NWL due to the fact that the system’s functionalities are centric to steel production and is customising to different operation environments. STRUMIS provides NWL with the ability to synergize core operational activities within Engineering & Design, Drafting, Estimating, Supply Chain Management, Production, Accounting, Project Management, Document Management, and HR Management. Northern Weldarc Ltd have commented “STRUMIS gave us the ability to get a job to the shop floor within a day of the job being given the green light to fabricate.” Which especially helped with their work on the Edmonton Police Station (EPS) Northwest Campus. This project involved the construction of a new Northwest Campus facility for the Edmonton Police Service (EPS). The Campus will bring together five key EPS facilities into one synergetic whole. The unique design will establish a presence into the city from the north that will create an urban edge in the surrounding community. The intent of the design is both to provide EPS with the infrastructure it needs to deliver its mission and to express the core values of EPS in built form. With the implementation of STRUMIS, NWL was able to utilise STRUMIS modules to correlate operational activities from the design and engineering & drafting of the building, materials management, to steel production. Within STRUMIS, NWL was able to load the building model into the system that allowed our engineering & drafting team to efficiently produce drawings required for the building entirely. Drawings that were produced were then loaded into STRUMIS which was then utilised by the procurement and production team to produce Bill of Materials for procurement and create production schedules. Northern Weldarc Ltd. (NWL), located in Sherwood Park, Alberta, is an industry leading Structural Steel Fabricator founded in 1971. NWL is a family owned and operated business that has established a professional and working culture encompassing family values and traditions. NWL specializes to serve customers in the oil and gas, pulp and paper, petrochemical and commercial industries, and is committed to the highest standard of workmanship, customer satisfaction, and above all, the health and safety of our employees, customers and contractors. STRUMIS is an all-encompassing steel fabrication business management solution that harnesses the information flow and work processes through steelwork contracts between departments, suppliers and clients; from estimate tendering, through procurement and production into construction. 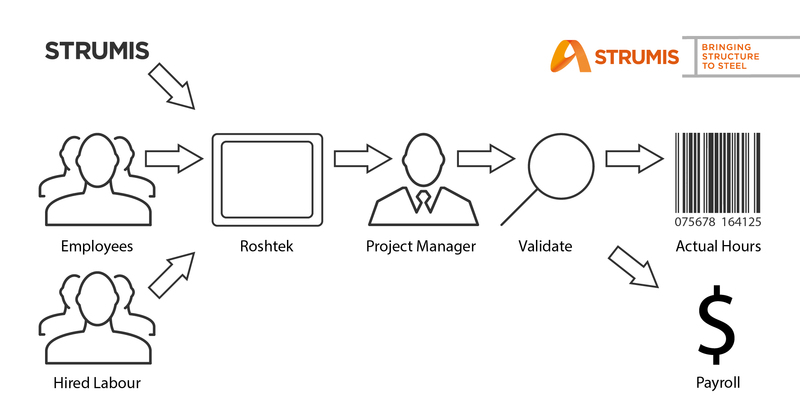 STRUMIS steel fabrication management information software is for engineering and fabrication companies who are looking to implement a dedicated fabrication management information system to manage across all departments including multiple sites or even across supply chains. All product and company names are the trademarks and/or registered trademarks of their respective owners. In his spare time he enjoys spending time with his wife, Darcey, and son, Campion, at home in Maine enjoying the way life should be. Also involved in the Boy Scouts of America at both the local and district levels teaching the “Trades” (welding, plumbing, painting, home repairs and electricity) to the next generation and coordinating the training for all volunteers in the program. Labour Management With A 10” Tablet. “Who did what, when, where and why and how long did it take them?” – Questions we hear all too often and more often than not the answer will be vague at best and totally wrong at worst. For many years STRUMIS has provided software capable of tracking and recording man-hours labour of both machines and humans in a steel fabrication environment. Conventional methods used could involve bar coding which was all the rage 15 years back but bar coding steel naturally required a bar code scanner, either Batch Collection scanners which are reasonably cheap or RF scanners which can be very expensive especially when you consider the additional logistics and cost of planting a receiver in the right place where buzz bars and welding units won’t interfere with the radio signal. Either scanner option provided practical problems in addition to the considerable cost. Many STRUMIS customers found workarounds which just about managed to overcome the practical problems of avoiding radio frequency interference, however, managing to stop a welder putting a bar code scanner through a washing machine in his overall pocket was another challenge entirely, one that can be amusing but at the same time costly if done on a regular basis. It’s one way of keeping the scanner clean but they tend to play-up after a 40 degree wash cycle followed by a 1600 spin dry! Nowadays we thankfully have an alternative which mixes the cheaper batch collection scanner option with the real-time benefits of Radio Frequency bar code scanners – Tablets! Tablets can now be found in many STRUMIS customers workshops providing real-time updates of part and assembly progress, hours recorded by process and employee, traceability & accountability and the added bonus of portability to work anywhere anytime. The Tablets available today can be sourced for as little as £60 each, windows based with a 10” screen is perfect for most uses within a fabrication workshop. Compared to bar code scanners and especially RF scanners this is a serious cash saving and guaranteed real-time progress compared to batch collection scanners which require their rich data be uploaded at the end of the shift. Due to the extensive connectivity offerings a Tablet provides either through GPRS or Wi-Fi means they are not restricted to factory locations, they are great for job site recording of hours spent erecting and progress tracking and reporting of what assemblies have been erected during any particular shift or day or week. Total portability and real-time updates on your contract progress for £60 – how good is that. Possibly the biggest advantage of all is that the 10” tablets are too large to fit in overall pockets! = Happy Boss = Happy Worker.